The new HTC One has been leaked multiple times now, we have had a video preview of the device and several photos leaks showing the device from an angle, this new leak shows the phone from all angles. 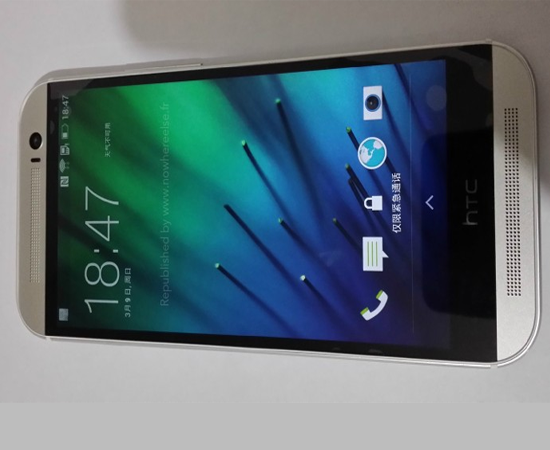 This new leak comes from China’s microblogging website Weibo, where a user has uploaded a set of photos showing the HTC One in all its glory. 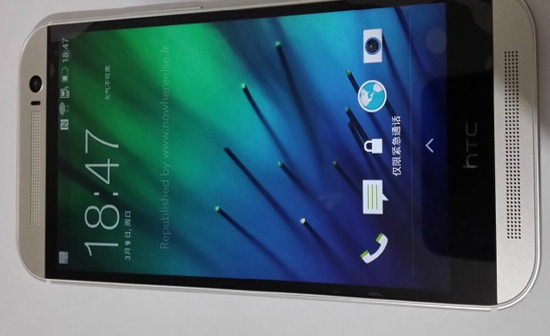 It looks to be a China Mobile model of the smartphone, revealed by the logo on the back. All of the new features coming to the new HTC One have been brought up previously, the dual-camera and dual-LED flash both still surprise us when looking and we really want to see the improvements the duo camera brings. It is nice to see the new HTC One will move away from capacitive keys and onto full software keys, changing the design of the keys and moving the HTC logo below, instead of in the middle. Overall the device looks very similar to the previous HTC One, there is less bezel on the new version, but the front facing speakers and slick silver aluminium design we loved on the original HTC One are here to stay. The software should be a big part of the new HTC One, it is reportedly going to have a new version of BlinkFeed that integrates more with feeds and social information and a new version of the short video capture Zoe. Sense 6.0 UI will change a little, HTC previously added darker tones onto the skin and Sense 6 will reportedly have a much lighter tone, bringing in a lot of white for icons and green, instead of black. Google Now will also be integrated into the HTC One, an odd move but reportedly one HTC is looking to make on a number of devices this year, including the HTC smartwatch.